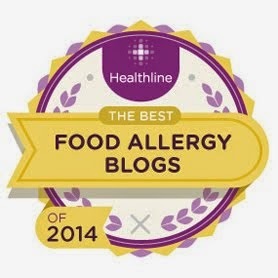 The Nut-Free Mom Blog: Food Allergy Product News: Nut-Free Chocolate for Mother's Day! Get Exclusive Coupon Code Here! 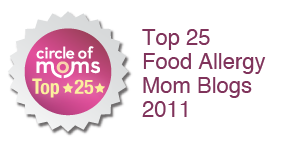 Food Allergy Product News: Nut-Free Chocolate for Mother's Day! Get Exclusive Coupon Code Here! Yes, Easter just ended but Mother's Day is right around the corner! What better way to celebrate than with chocolate? I'm so happy to share that my friends at Vermont Nut-Free Chocolates, my all-time fave nut-free chocolate maker, is offering Nut-Free Mom blog readers an exclusive coupon for one week only! 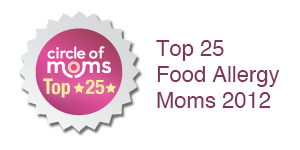 Here is a link to some of the great Mother's Day gift ideas that Vermont Nut Free has on offer. Nut-Free Mom blog readers will receive a 10% discount on all items in the order, excluding shipping charges. This coupon is effective April 28th through May 6th. Enter NFM10 at the top of the shopping cart in the keycode box. It is not case-sensitive. Because many of us do not want any foods that contain peanuts or tree nuts in our homes, and because we like to share with our family and friends, this is a great gift for us moms, so start hinting now! You can also ask for favorite baking stock-up items like delicious nut-free chocolate chips and baking bars. 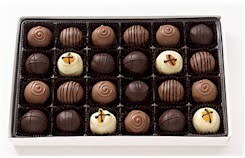 Please visit the website to see all the chocolatey and scrumptious options. THE STEAM TRAIN can eliminate a large portion of it from your home. THE STEAM TRAIN is completely safe for you and your family. Our goal is to eliminate all of the microscopic pests in your living space so that you can enjoy your home, worry free.